On a gray October day, this is the perfect nail polish to wear. 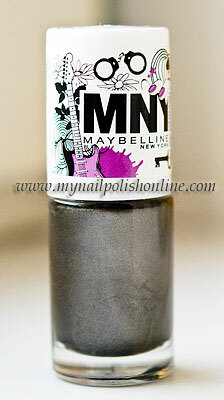 MNY 669 is a medium gray with lots of shimmer, very autumn like, very appropriate for this time of the year. This is two coats with a layer of China Glaze Fast Forward.